When we ladies decided to buy an exquisite pair of Louboutin / Jimmy Choo / Rene Caovilla / Gianvito Rossi, we often tell ourselves we will wear them for years to come, to justify the price we pay. But in order to really wear them for years, you have to take good care of your shoes as they can get worn out easily. I once have a pair of beautiful Roger Vivier flats ruined in the matter of months, mainly because of poor care and the weather. : ( so you don’t want to learn it the hard way. Here is what you can do to prolong the life of your nice shoes. Here, Preventive care is key. Before you wear your shoes for the first time, bring them to a cobbler / shoe repairer to have them adhere a layer of thin rubber sole for you. This way, it protects the leather-sole, because they wear down very fast without any protections. Water is the biggest enemy of leather shoes. So, the additional rubber layer also acts to prevent water seeping in and travels up to the upper part and ruin the entire shoe. If you don’t have the time to get this done before you wear them the first time, or your area doesn’t have a cobbler who is trustworthy or skilful enough to take care of your nice shoes, you can get some sole protectors as a temporary solutions, before you can reach a cobbler to get the job done properly. You can get some really nice ones from Madam Sole Protectors. They are self-adhesive, anti-slip pads that will protect your amazing shoes from scratches, scuffs, wear and tear. They even have red colour ones to match our beloved Christian Louboutin. Can you see them almost invisible in the photo? After wearing your stilettos for a while, you will notice the heel caps wear down and you will need to replace them. You hear that “click-clack” sound. Don’t wait util it’s too late to replace them because an eroded heel tip will dig deeper and deeper and eventually it can break your heel! Bring your shoes to a reputable cobbler asap for some quality heel caps replacement. You might think it is such a small part and it doesn’t matter where you go for the replacement. But truth is, quality heel caps are more shock absorbent and they can last 3 to 4 times longer than the poor quality ones. Which in return saves you more time and energy to replace them too often. If you are in Hong Kong, you can go to The Top in Central. They do excellent job in shoes repairing and they do not skimp on the material that they use. They use rubber soles that are made in France. They are a little bit pricier than other repairer in Hong Kong, but you get what you paid for. 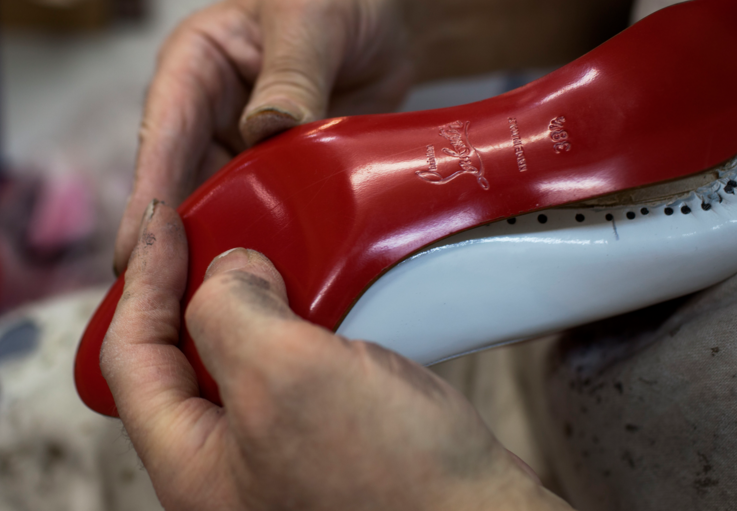 If you are in Paris or London, and especially you have some Louboutins to fix. 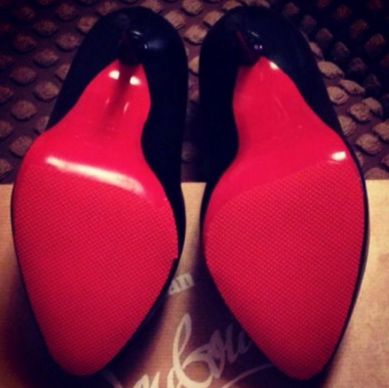 Go to Minuit moin 7, they are the official cobbler for Christian Louboutin. Of course, they fix other brands as well. If you are very particular and you don’t mind to wait, you can mail your beloved louboutins to their store in London or Paris and they will fix them and mail them back to you. How cool is that?